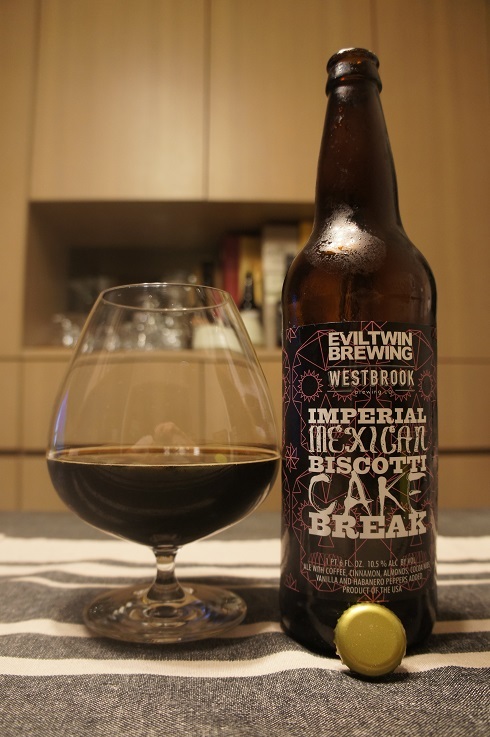 Category Archives: Evil Twin Brewing x Westbrook Brewing Co.
Brewery: Evil Twin Brewing x Westbrook Brewing Co. 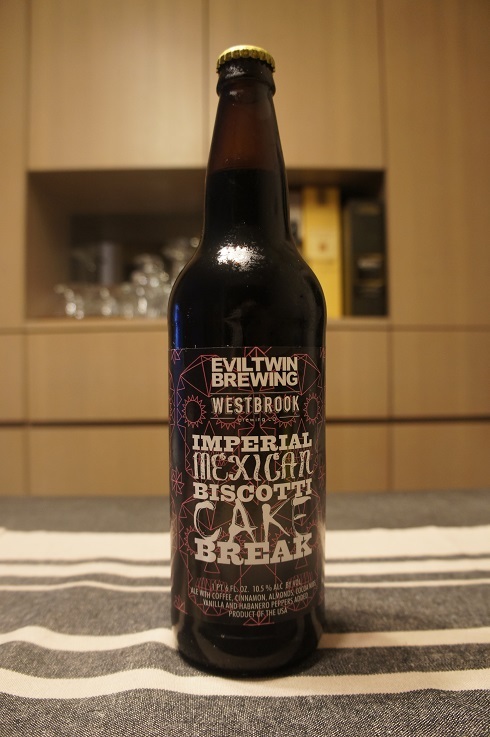 Brewer Description: (from bottle) Ale with coffee, cinnamon, almonds, cocoa nibs, vanilla and habanero peppers added. Intro: A 22 fl. oz. bomber with no bottled on or best before date. Poured into a snifter. Appearance: It was a slick motor oil black colour with pretty much no head or lacing. Aroma: Cocoa, chocolate, coffee, nutty, liquorice (maybe), spicy pepper with hints of cinnamon. Taste: Rich milk chocolate, coffee, vanilla, cinnamon with habanero pepper lightly lingering on the finish. Overall: Really nice, a great sipper with very nice creaminess and lingering but not overpowering spiciness.